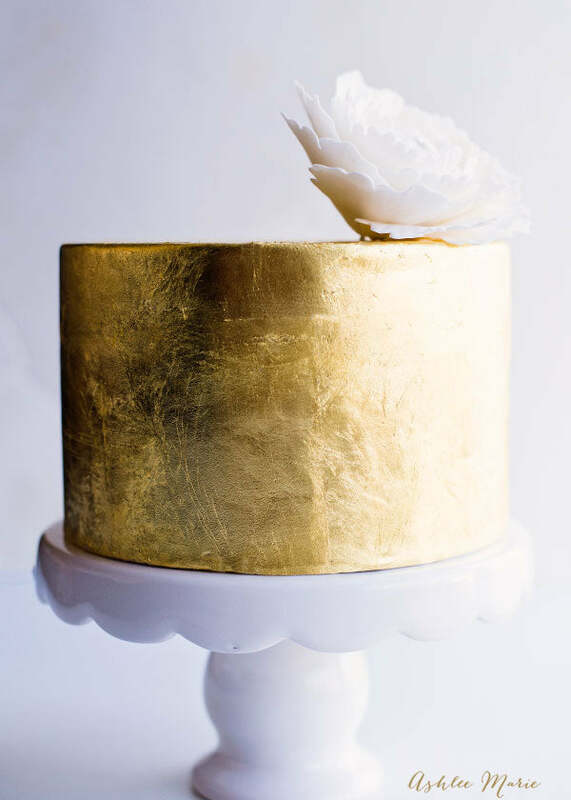 Gold leaf transforms this cake into an opulent and rich looking masterpiece. The rule here is to choose 24 carat gold. Otherwise, it won’t be edible! It might seem insane to you to eat gold instead of wear it, but chefs around the world have been cooking with gold for years. You can buy the gold on Amazon and then use a traditional cake recipe and smooth fondant for a base. The gold leaf is a little pricey, but for a special occasion, it makes a big impact. Once the cake is complete, you’ll feel like a true champion for all the work you put in. This is a much cheaper alternative to edible gold leaf. These cookies are decorated with gold icing that costs about $2 per tube. The cookie below is lovely, but is only meant to serve as a visual idea for your gold icing endeavors. 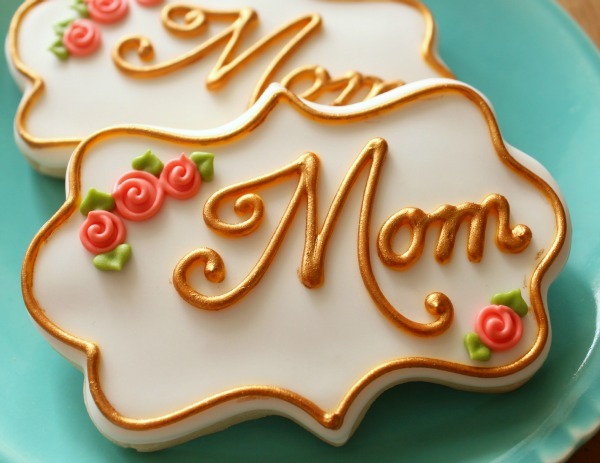 You can use gold icing on a cake, cupcakes, cookies, and more. Instead of making these cookies that say “mom,” you could write “champion” or “Team USA” to be more thematic with the Olympics. Just buy yourself a few tubes and use your creativity to go for the gold. These edible golden sprinkles are amazing. The recipe itself is also easy peasy. You can buy plain yeast donuts from the store or make your own doughnuts (it’s easy), make a quick icing out of milk and powdered sugar, and then sprinkle these edible sparkles on top while they’re tacky. You can buy edible sparkles from Amazon or from most craft and baking stores. Most people do something glitzy like this for a wedding, but they’d also be perfect as a bridal shower, baby shower sweets, brunch, or New Year’s Eve dessert. 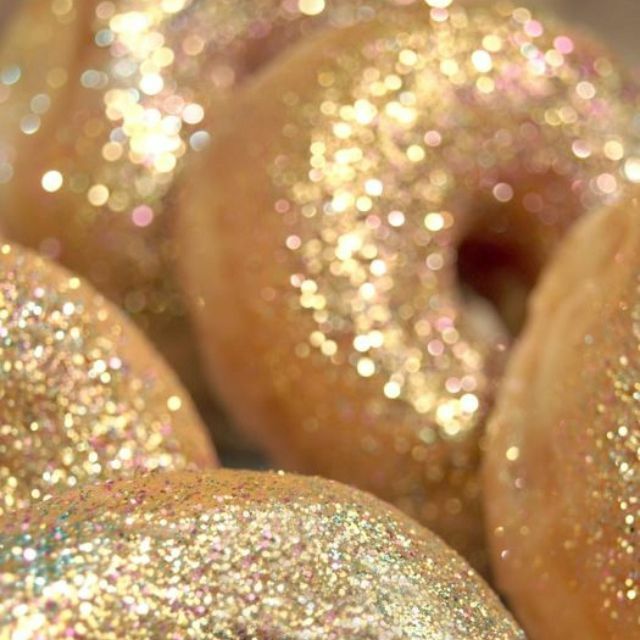 Of course, these gold sparkly donuts are ideal for eating during Olympics coverage too! Start this recipe by combining vegetable shortening and white chocolate. If you have a double boiler, temper the chocolate until it’s completely melted. Then, you can use chilled cake pops (homemade or store bought) and dip them in the white chocolate. This baker mixed golden food coloring into the chocolate before dipping the cake pops. This is up to you. If you’d rather paint them with gold leaf after the chocolate has set, you can do that. You can also use gold sprinkles on the wet chocolate before they cool. No matter how you make this recipe, Team USA will be proud! 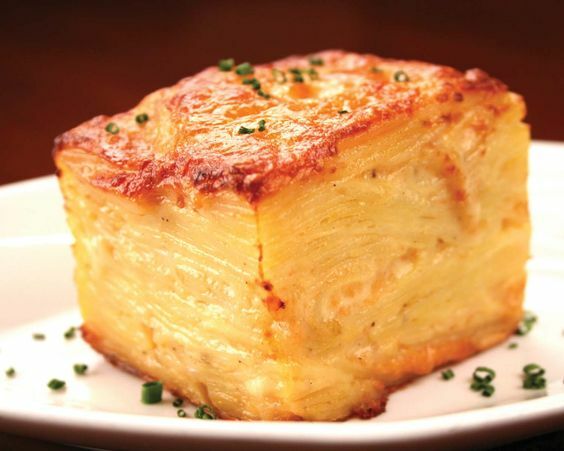 This thinly sliced potato casserole is similar to a gratin, but makes a fancier statement. This particular recipe is modeled after one served at Disneyland Resort. It includes yukon gold potatoes, gruyere cheese, parmesan cheese, shallots, and more tastiness. The potatoes themselves are golden already, but if you leave these potatoes in the oven long enough, they’ll also develop a golden crust that’s crunchy and rich. Need an idea of what to serve this side dish with? These golden potatoes pair well with red meat, roast chicken, and a fresh salad. These French macarons are absolutely beautiful. While they’re a pretty advanced dessert to make at home, this video tutorial makes it easy to replicate. Just make sure you follow the directions exactly! Whenever you have a basic meringue, it’s a fragile thing. You’ll need to make sure the egg whites are room temperature, the mixing bowl is free of any oils, and no yolk spills into the mix. Watching a meringue how-to can be very helpful if this is your first time. We thought this recipe was fitting for an Olympic post because it’s both gold and challenging! Push your limits in the kitchen and give these macarons a try. This ice cream is a real winner. It’s actually not true “ice cream.” That’s because it’s vegan! 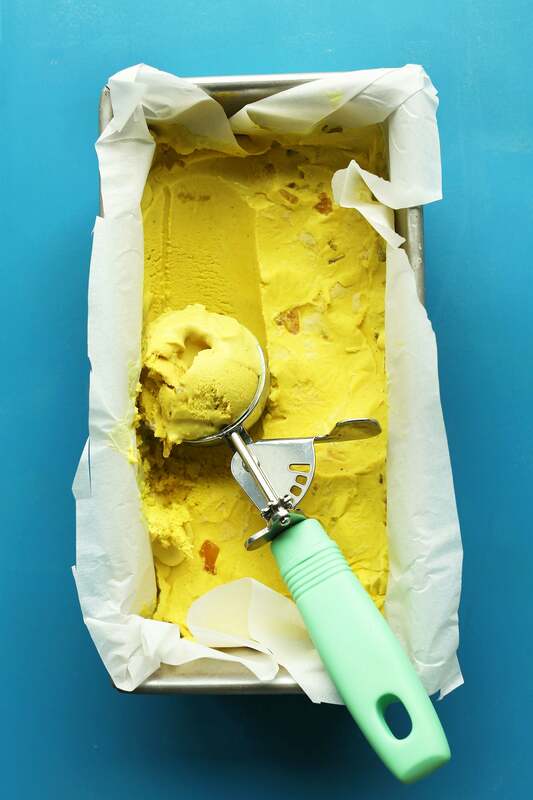 The golden ice cream gets its color from turmeric—a powerful anti-inflammatory and eastern medicine. The recipe also includes coconut milk, sea salt, ginger, cardamom, and other tasty spices. If you have an ice cream maker, you can create this rather easily. You can also find out how to make ice cream by hand—with two plastic bags and some ice. We showed you a fancy golden potato recipe. Now, you can try a much simpler version. 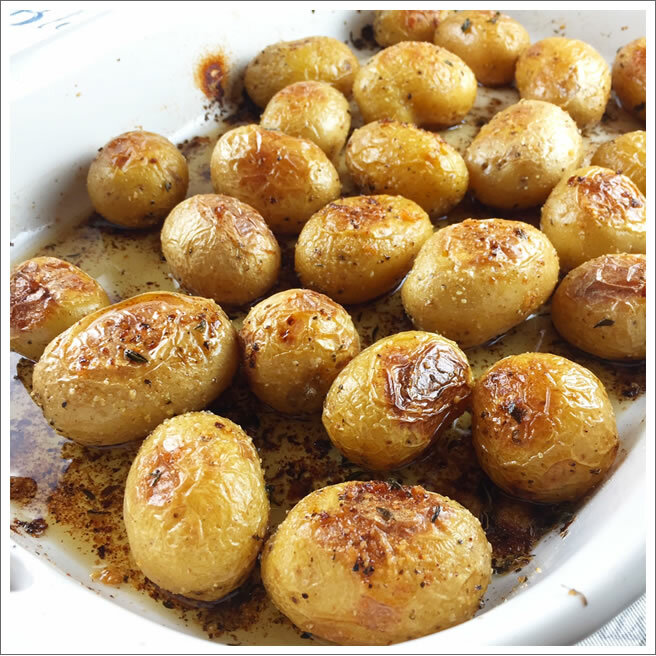 These roasted honey gold potatoes can be made in the oven or on the grill in a snap. Just wash the outside of the potatoes to remove any grit and grime, drizzle some olive oil on them, sprinkle salt and pepper, and pop them in the oven. Truffle oil is another fantastic finisher for potatoes and brings out the savory flavor. If you use a fancy oil, just make sure to put it on at the end. Baking oils at high temperatures burns off the flavor, so they’re best saved for last. Chocolate covered strawberries are already a winner in our book. When sprinkled with golden edible sprinkles. they’re even better. To make these chocolate covered strawberries even more gold medal themed, you should use white chocolate. The metallic golden color will show up much better on white. You can serve these like cake pops by sticking a stick in the bottom of each one, or by setting them on a plate. If you’re making a special cake, you can even use these gilded strawberries as a gorgeous garnish. You don’t have to come in first to be a winner. Second place and a silver medal still means you’re second best in the entire world! That’s something to be proud of. This silver cake is much like the gold leaf cake we featured above. You’ll need to order edible silver leaf and paint it on carefully. You can make a fancy cake like this, a single layer, or even cupcakes. Just know that gold and silver leaf work best when painted on smooth surfaces. You’ll need to use a smooth fondant to achieve this world class look. While this isn’t a first place gold recipe, it’s still a champion by our standards. 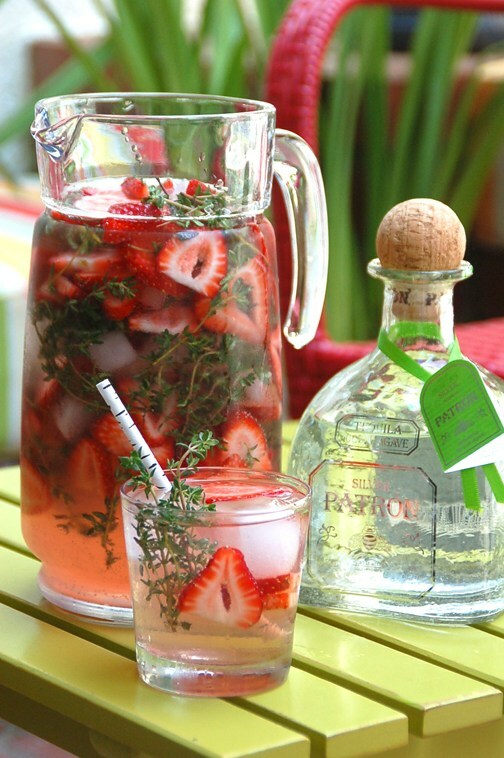 This cocktail uses silver Patron tequila, strawberries, thyme, and strawberry liqueur to make one delicious sangria/margarita hybrid. You could serve this on the rocks or blend it up for a frozen treat. Since the Olympics are in a hot month of August, you might like the slushy version better to cool you off while you watch the games. The Olympics is kind of a gold rush! It’s not the historic one, but all athletes from around the world vie for victory. In this gold rush cocktail, you’ll need to mix up your favorite bourbon, honey water, and lemon juice. It’s a rather strong drink, but the honey water adds a sweetness to cut through the bitter bite of the bourbon. Like most fine cocktails, we recommend choosing a high quality bourbon you’d be able to sip on. Pick something mellow and lightly sweet to complement the honey and lemon. Now with all these amazing Olympics recipes at your disposal, sit back and celebrate the USA (or whichever country is yours) and watch incredible athletes go for gold.